There is no doubt that some of the top things to do in Bari Italy are visiting the historic sites, theaters, museums and cathedrals. Having said this, spending time beach is also another popular thing to do during a vacation in Bari. If you’re wondering about beaches in Bari Italy, you will find that Bari Italy only boasts one proper swimming beach called Pane e Pomodoro Beach, which is juts 10 minutes from the town center of Bari, and around 20 minutes drive from Bari Palese Airport. 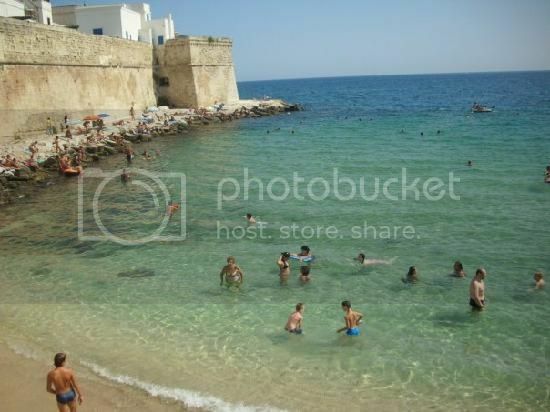 If you’re looking for bigger beaches than Pane e Pomodoro, you will need to drive further north or south of Bari to places such as Trani, Polignano a Mare, Monopoli, Barletta, Ostuni and Bisceglie. The towns of Bisceglie, Barletta, Polignano a Mare and Trani boast some of the nicest beaches near Bari Italy and they’re only an hour’s drive from Bari Italy. Trani, Barletta and Bisceglie are located north of Bari and boast a beautiful coastline with mainly pebble and white sandy beaches. 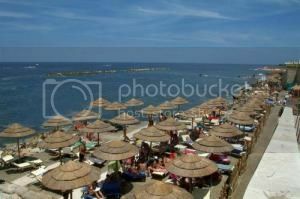 The town of Barletta is home to the beaches of Barletta (south) Sud and Barletta (north) Nord, while Trani and Bisceglie boasts their own nice city beaches. Having said this, Bisceglie is the most popular spot for beach vacation, not only because of its location, but also because of its beach resorts such as Hotel Salsello and Hotel Villa. If you truly want beautiful white sandy beaches and Blue Flag beaches, you'll need to head really south to places like Ostuni, Brindisi and Otranto, which are fairly far by car. However, you don't need to go as far as those places mentioned above to enjoy blue Flag beaches. In fact, the beach in the town of Polignano a Mare is just 30 minutes south of Bari and it’s a beautiful beach with a stunning rocky formations. This beach isn't the biggest, but the great thing about a trip to Polignano a Mare is that the town boasts lots of coves, which is great if you're looking to do sea kayaking. The city of Monopoli is just a little further south from Polignano a Mare, and it's a real gem. Monopoli boasts plenty of small beaches, lively atmosphere and plenty of beach hotels, which makes Monopoli one of the best beaches near Bari Italy along the southern coast of Puglia.